She calls it her ‘getting out the door as fast as I can’ make-up regime. 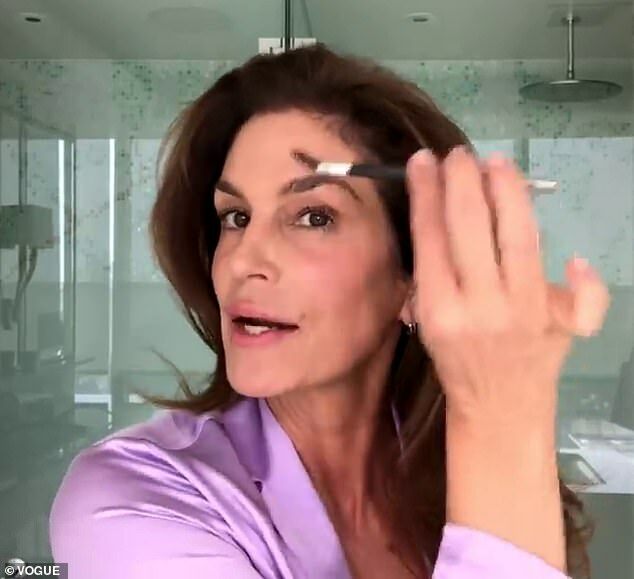 But while for many women that would involve a dash of lippy and a quick brush through their hair, for supermodel Cindy Crawford it means applying 13 products that cost a total of more than $500. And the entire process takes eight minutes. 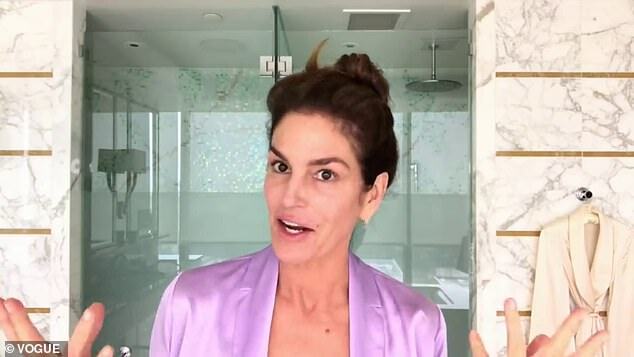 Mother-of-two Miss Crawford, 53, revealed her ‘typical morning’ skincare regime in a video for fashion magazine Vogue’s US website. 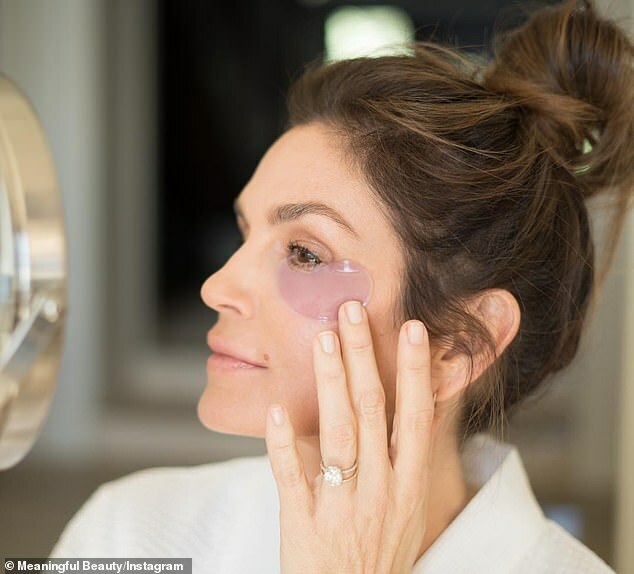 She used the opportunity to plug her cosmetics brand Meaningful Beauty, with many of the lotions and potions she used during filming coming from the brand, which aims to keep skin looking young. Several of its products contain an antioxidant from a type of melon grown in the south of France. Miss Crawford, who began modelling in 1985, revealed that she often struggled to do her own make-up as a younger model and would rely on help from others. ‘My mother never wore make-up … When I started modelling I knew zero about make-up and skin care,’ she said. But she admitted she has started wearing less make-up as she gets older. ‘That’s the biggest evolution for me, which is kind of counter-intuitive,’ she said. 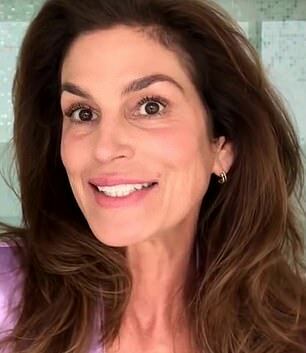 She insisted her focus is often on ‘getting skin care on and getting out the door as fast as I can’ and admits she often seeks tips from her daughter Kaia Gerber, 17, who is also a model. However, her costly cosmetic regime is wasted on her husband, businessman Rande Gerber, 56, to whom she has been married for more than 20 years.